Hungry Hungry Herd is the latest variation on the classic Hungry Hungry Hippos game. Centered around the Farmville craze, instead of hungry hippos, we now have a hungry cow, horse, sheep and pig. Instead of just white marbles, we now have yellow corn, purple grapes, orange pumpkins and red apples. For a child who has never played Hungry Hungry Hippos before, they will have the same amount of fun as if they were all hippos. 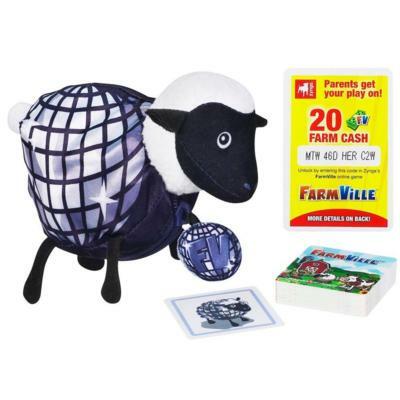 For parents or fans of Farmville , you might be interested in the included $50 Farmville cash. After checking out the price on Facebook though, it’s only worth between $1 and $10. Other than the paint job and the hippos being replaced with different animals, there is nothing different about this game. So, why would you buy this version verses Hungry Hungry Hippos ? Well, for me, I like the paint job on the Farmville edition better. I can also see where the included Farmville cash could be a selling point. I don’t play the game myself, but it’s something for “free” that I could give to a friend. For the same price (or cheaper on Amazon) as Hungry Hungry Hippos , you can purchase Hungry Hungry Herd and get $50 Farmville cash. So, if your child is more into farm animals than hippos or if you are a fan of Farmville (or know someone who is), this game is for you. 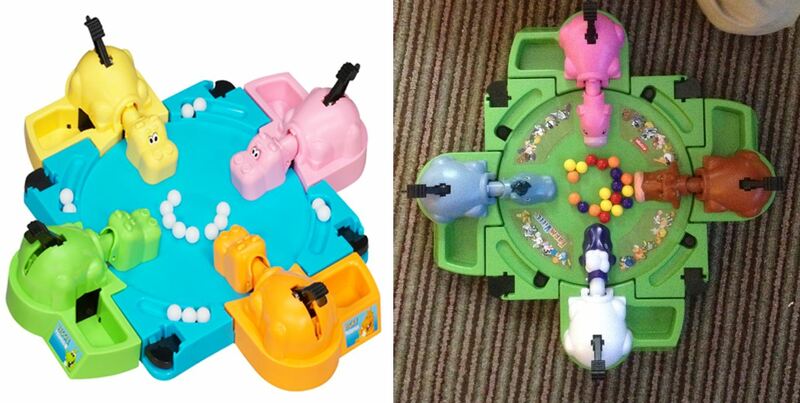 If you already have Hungry Hungry Hippos , feel free to not rush out and replace it with this one. On top of the release of Hungry Hungry Herd , Hasbro has also released a series of card games that come complete with an animal counterpart case. The games themselves are pretty simple (Memory, Old Maid and Go Fish) and like Hungry Hungry Herd , they also come with $20 in Farmville cash. The games are recommended for ages four and up and can accommodate two to four players each. Hungry Hungry Herd retails for $18.99 on Amazon and the Farmville animal games retail for $9.99. So, what do you think? Does the new paint job appeal to you or are you happy with your hippos? Leave us a comment and let us know your thoughts. ← GeekMom Gift Guide: Clothing and Household Goods and DVDs, Oh My!